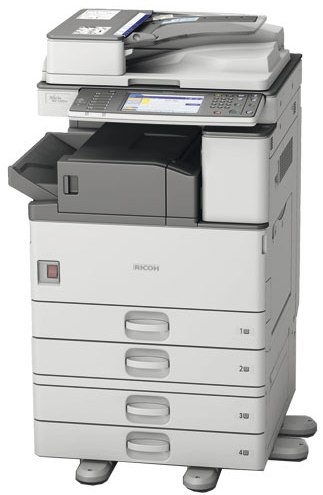 The Ricoh MP2852 is the perfect machine for the small office that requires A3 capability. It has the smallest footprint of any machine in its class, making it an ideal choice when space is limited. Despite its small size the MP2852 has the same powerful features as Ricoh's larger office machines. If you require a Document Feeder then there is the Ricoh Aficio MP2852AD. If you require Print and Scan, why not have a look at the Ricoh Aficio MP2852SP. For more information on the Ricoh Aficio MP2852 please do not hesitate to call our helpful sales team on 0800 1244 199 or email us.